The Federal High Court in Abuja on Monday ordered the Nigeria Police Force to pay to the popular entertainer, Mr Charles Oputa, also known as Charly Boy, the sum of N50m as compensation for violation of his rights during the ‘Resume or Resign’ protest which he convened on August 8, 2018. Charly Boy had convened the protest to ask President Muhammadu Buhari, who was then on a protracted medical vacation in London, the United Kingdom, to either resume or resign from office. 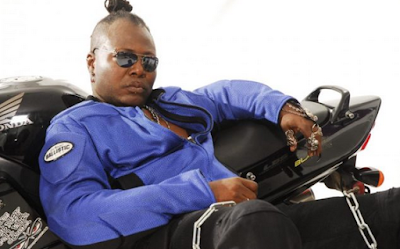 Alleging that the police violated his rights during the protest, Charly Boy said policemen used tear gas canisters, water cannon and wild police dogs to harass and disperse him and his fellow protesters during the peaceful demonstration at the Unity Fountain in Maitama, Abuja. He said he collapsed and was rushed to the hospital after the alleged harassment by the police. Oputa, through his lawyer, Mr Inibehe Effiong, filed the fundamental human rights enforcement suit against the police in March 2018, urging the court to hold that the treatment meted out to him was unjustifiable, illegal, and unconstitutional. He urged the court to hold that the treatment by the police constituted a breach of his fundamental human rights to the dignity of the human person, freedom of expression, peaceful assembly and association and contrary to Sections 34, 39 and 40 of the Constitution of the Federal Republic of Nigeria, 1999 (as amended). Delivering judgment in the suit on Monday, Justice John Tsoho ordered the Nigeria Police Force, along with the Inspector-General of Police, Mr Ibrahim Idris, and the Commissioner of Police, the Federal Capital Territory Command, to pay the sum of N50m to Oputa and apologise to him in two national newspapers. The judge held that there was no evidence that miscreants hijacked the premises of the protest as alleged by the police. He ruled that the applicant was entitled to stage the protest which he ruled was his constitutionally guaranteed right provided it was a peaceful procession. The judge added even if miscreants were on the scene to hijack the protest, the police should have deployed the appropriate security measures to dislodge such persons and maintain law and order.